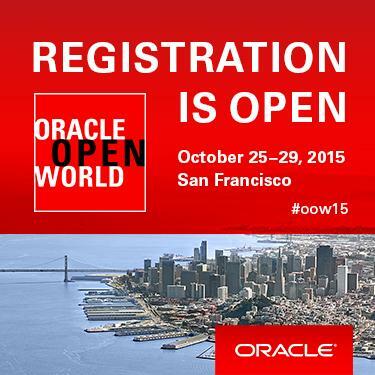 Join Datavail at OpenWorld 2015 and discover new ways to optimize your systems. Learn new practices that will help make you more successful. Take your business to the next level. Oracle OpenWorld is an annual event showcasing product features and other news from Oracle Corporation. It is a multi-venue gathering held in San Francisco (USA), Sao Paulo (Brazil) and Shanghai (China). Each venue event is in turn a multi-day affair, usually beginning on a Sunday and running to Thursday. OpenWorld is targeted at a range of Oracle current and potential customers such as IT management and decision-makers as well as line users of Oracle software. OpenWorld 2011 drew about 45,000 people at the San Francisco venue.